Three years ago, the late great Alexander McQueen followed in the footsteps of Vivienne Westwood and Paul Smith and designed some pieces for The Rug Company, the Notting Hill-based cushions and carpets maker and the place everyone wishes they could afford to buy their rugs. Only now are these creations becoming available thanks to the complexity of McQueen's designs and the exacting standards on which his studio insisted during production. 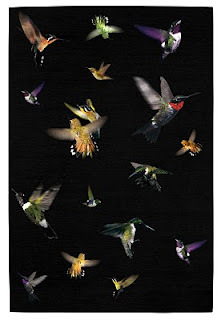 The star piece and source of significant loom-based drama is a black Hummingbird rug which is dotted with blurred, photographic images of the birds in flight, their wings fuzzily in motion. The delicacy of these intricate depictions required 300 knots of silk and cashmere per square metre - apparently that's a lot. Thankfully, the weavers persevered to produce a work of significant beauty - it seems like sacrilege to have it on the floor to be trampled... surely most buyers will be hanging theirs on a wall as one of the last works by this most brilliant of London designers whose tragic death curtailed his bombastic career. 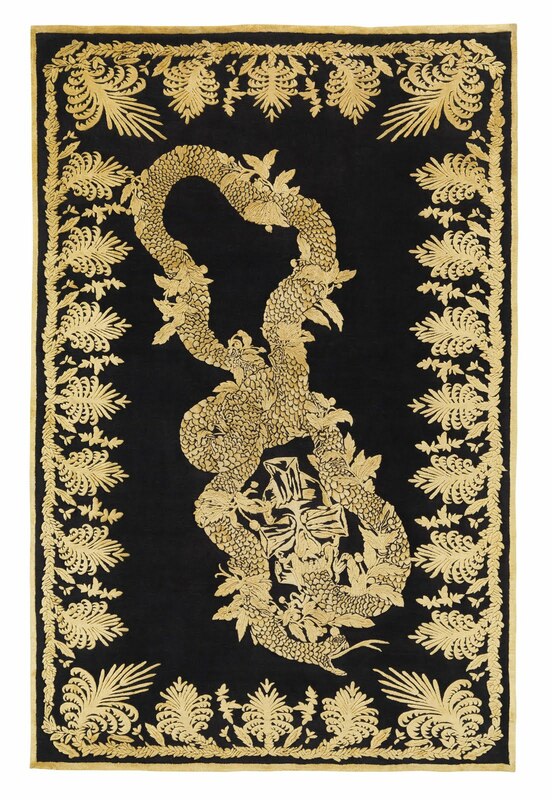 There are also three signature McQueen patterns available as rugs - Military Brocade, Feathers and Skulls. 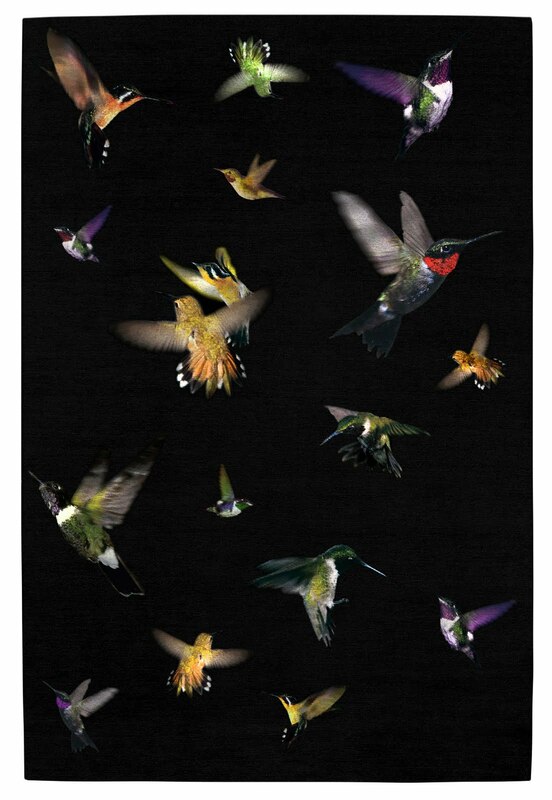 A Hummingbird rug costs £1,955 per square metre. PER SQUARE METRE. But it's worth it, because it's a last chance and a thing of ingenuity that looks eery and happy and magical all at once - yes I'm talking about a carpet. Some others obviously agree with me because it has a waiting list (austerity schmosterity).